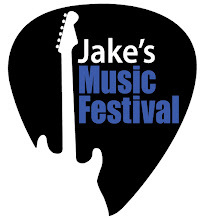 Jake's Music Festival has become an almost year round endeavor for our volunteer staff. We are already starting to plan for the 2012 show. We know will be back at the Wealthy Theatre in April. So now we are thinking about bands for next year's line-up. Which local West Michigan bands would you like to see? Leave your suggestions in the comments. Thanks for your ideas and support.